LINDISFARNE - THE VERY BEST OF - NEW CD!! Various Artists : Now That's What I Call Music! 83 CD (2012)Title: Now That's What I Call Music! 83 Artist: Various Artists Genre: Rock/Pop|Compilation Format: CD / Album Type: CD No. of Discs: 2 disc(s) Studio / Label: EMI TV UK Release Date: 19 Nov 2012. Blondie : Atomic: The Very Best of Blondie CD (1998)Title: Atomic: The Very Best of Blondie Artist: Blondie Genre: Rock/Pop|Punk/New Wave Duration: 77.30 mins Format: CD / Album Type: CD No. of Discs: 1 disc(s) Studio / Label: EMI Music UK UK Release Date: 13 Jul 1998. The Fivepenny Piece : The Finest Collection CD (2006)Title: The Finest Collection Artist: The Fivepenny Piece Genre: Rock/Pop|Rock Duration: 76.40 mins Format: CD / Album Type: CD No. of Discs: 1 disc(s) Studio / Label: EMI Gold UK Release Date: 01 May 2006. Various Artists : Now That's What I Call Music! 59 CD (2004)Title: Now That's What I Call Music! 59 Artist: Various Artists Genre: Rock/Pop|Compilation Duration: 156 mins Format: CD / Album Type: CD No. The Animals : The Most Of CD (2002)Title: The Most Of Artist: The Animals Genre: Rock/Pop|Sixties Pop Duration: 49.50 mins Format: CD / Album Type: CD No. of Discs: 1 disc(s) Studio / Label: EMI Gold UK Release Date: 18 Mar 2002. Disc 1 2 Scream & Shout (Feat. Britney Spears). Various Artists : Now That's What I Call Music! 84 CD (2013)Title: Now That's What I Call Music! 84 Artist: Various Artists Genre: Rock/Pop|Compilation Format: CD / Album Type: CD No. Kate Bush : Aerial CD (2005)Title: Aerial Artist: Kate Bush Genre: Rock/Pop|Singer/Songwriter Duration: 79.50 mins Format: CD / Album Type: CD No. of Discs: 2 disc(s) Studio / Label: EMI Music UK UK Release Date: 07 Nov 2005. Pink Floyd : Dark Side of the Moon CD (1994)Title: Dark Side of the Moon Artist: Pink Floyd Genre: Rock/Pop|Rock Duration: 42.59 mins Format: CD / Album Type: CD No. of Discs: 1 disc(s) Studio / Label: EMI Music UK UK Release Date: 25 Jul 1994. Matt Monro : The Ultimate CD (2005)Title: The Ultimate Artist: Matt Monro Genre: Easy Listening|Vocal - Male Duration: 70.30 mins Format: CD / Album Type: CD No. of Discs: 1 disc(s) Studio / Label: EMI Music UK UK Release Date: 31 Jan 2005. Various Artists : Now That's What I Call Music! 58 CD (2004)Title: Now That's What I Call Music! 58 Artist: Various Artists Genre: Rock/Pop|Compilation Duration: 150 mins Format: CD / Album Type: CD No. The Human League : The Best Of CD (2004)Title: The Best Of Artist: The Human League Genre: Rock/Pop|Pop Duration: 78.30 mins Format: CD / Album Type: CD No. of Discs: 1 disc(s) Studio / Label: EMI Gold UK Release Date: 06 Dec 2004. Various Artists : Now That's What I Call Christmas CD (2012)Title: Now That's What I Call Christmas Artist: Various Artists Genre: Rock/Pop|Xmas Format: CD / Album Type: CD No. of Discs: 3 disc(s) Studio / Label: EMI TV UK Release Date: 05 Nov 2012. The Stranglers : Peaches: The Very Best Of CD (2002)Title: Peaches: The Very Best Of Artist: The Stranglers Genre: Rock/Pop|Punk/New Wave Duration: 72.40 mins Format: CD / Album Type: CD No. of Discs: 1 disc(s) Studio / Label: Liberty UK Release Date: 10 Jun 2002. Various Artists : Heartbeat CD (2005)Title: Heartbeat Artist: Various Artists Genre: Easy Listening|Compilation Duration: 197 mins Format: CD / Album Type: CD No. of Discs: 3 disc(s) Studio / Label: EMI Gold UK Release Date: 08 Aug 2005. Go West : The Best of Go West CD (2003)Title: The Best of Go West Artist: Go West Genre: Rock/Pop|Pop Duration: 78.20 mins Format: CD / Album Type: CD No. of Discs: 1 disc(s) Studio / Label: EMI Gold UK Release Date: 01 Dec 2003. Lulu : Most Of Lulu/Lulu's Album CD (2002)Title: Most Of Lulu/Lulu's Album Artist: Lulu Genre: Rock/Pop|Pop Duration: 62.20 mins Format: CD / Album Type: CD No. of Discs: 1 disc(s) Studio / Label: EMI Music UK UK Release Date: 29 Apr 2002. Format: CD. Give It Up (1997. Life's What You Make It (1997. Classic Artists. I Don't Believe In You (1997. Rare Collectables. Happiness Is Easy (1997. ). Brian Ferry : The Collection CD (2004)Title: The Collection Artist: Brian Ferry Genre: Rock/Pop|Pop Duration: 73.50 mins Format: CD / Album Type: CD No. of Discs: 1 disc(s) Studio / Label: EMI Gold UK Release Date: 06 Dec 2004. IF YOU LOVE THE FEELGOOD REGGAE POP OF BRUMMIE LEGENDS UB40 THEN YOU WILL LOVE THIS BRILLIANT RARE CD. UB40 Essential - The Greatest Hits Collection - This superb cd is exactly what it says it is,a superb collection of the bands many greatest hits & favourites. Of Discs: 1 disc(s) Studio / Label: EMI Gold UK Release Date: 15 Oct 2001. Disc 1 4 That's the Way It Is 3.28 mins. Disc 1 13 You Changed My Life 3.27 mins. Disc 1 10 Feel a Whole Lot Better 4.26 mins. VERY RARE ORIGINAL UK IN FATBOX CASE. NOW THAT'S MUSIC NO. 11. CASE MAY HAVE LIGHT WEAR. Suzi Quatro : Wild One-greatest Hits CD (1990)Title: Wild One-greatest Hits Artist: Suzi Quatro Genre: Rock/Pop|Rock Duration: 69.30 mins Format: CD / Album Type: CD No. 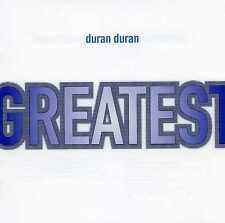 of Discs: 1 disc(s) Studio / Label: EMI Music UK UK Release Date: 08 May 1990. Of Discs: 1 disc(s) Studio / Label: Chrysalis UK Release Date: 03 Feb 1997. Disc 1 16 We're Having All the Fun 2.49 mins. Disc 1 10 Faith, Hope & Charity 2.50 mins. Disc 1 17 The Pressure Of Life 3.10 mins. NEW 2015 STEREO MIXES. THE BEATLES. Paperback Writer. The Ballad Of John And Yoko. Lady Madonna. Hello, Goodbye. All You Need Is Love. Penny Lane. Hue and Cry : Labours of Love: The Best of Hugh and Cry CD (1993)Title: Labours of Love: The Best of Hugh and Cry Artist: Hue and Cry Genre: Rock/Pop|Pop Duration: 66.30 mins Format: CD / Album Type: CD No. 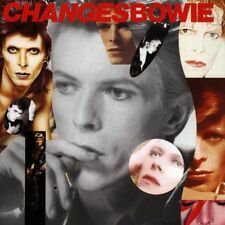 David Bowie : Changes Bowie CD (1990)Title: Changes Bowie Artist: David Bowie Genre: Rock/Pop|Rock Duration: 74.30 mins Format: CD / Album Type: CD No. of Discs: 1 disc(s) Studio / Label: EMI Music UK UK Release Date: 12 Mar 1990. "THE VENTURES". ON CD . MINE FROM NEW-IN GOOD CONDITION THROUGHOUT. Stray Cats - The Best Of Stray Cats. 1998 EMI CD Album. Jewel Case:- NEW! Pictures shown are of the actual CD for sale. VERY RARE ORIGINAL UK IN FATBOX CASE. NOW THAT'S MUSIC NO. 10. CASE MAY HAVE LIGHT WEAR. Ultravox : The Voice: The Best Of Ultravox CD (2007)Title: The Voice: The Best Of Ultravox Artist: Ultravox Genre: Rock/Pop|Electronic Duration: 71.30 mins Format: CD / Album Type: CD No. of Discs: 1 disc(s) Studio / Label: Caroline UK Release Date: 27 Mar 2007. Paul Carrack : Blue Views CD (1996)Title: Blue Views Artist: Paul Carrack Genre: Rock/Pop|Pop Duration: 50 mins Format: CD / Album Type: CD No. of Discs: 1 disc(s) Studio / Label: Chrysalis UK Release Date: 22 Jan 1996. Joe Longthorne : Wish You Love CD (1993)Title: Wish You Love Artist: Joe Longthorne Genre: Easy Listening|Vocal - Male Duration: 52.30 mins Format: CD / Album Type: CD No. of Discs: 1 disc(s) Studio / Label: EMI Gold UK Release Date: 01 Nov 1993. Cliff Richard : Cliff/Cliff Sings: 2 On 1 CD (2001)Title: Cliff/Cliff Sings: 2 On 1 Artist: Cliff Richard Genre: Rock/Pop|Pop Duration: 75.10 mins Format: CD / Album Type: CD No. of Discs: 1 disc(s) Studio / Label: EMI Music UK UK Release Date: 20 Aug 2001. Bernard Cribbins : The Very Best of Bernard Cribbins CD (2004)Title: The Very Best of Bernard Cribbins Artist: Bernard Cribbins Genre: Easy Listening|Easy Listening Duration: 74.20 mins Format: CD / Album Type: CD No. Queen : A Kind of Magic CD (1986) . Free postage . Condition is Very Good. THE PIPER AT THE GATES OF DAWN. PINK FLOYD. Saosin : Saosin CD (2006)Title: Saosin Artist: Saosin Genre: Rock/Pop|Rock Duration: 41.90 mins Format: CD / Album Type: CD No. of Discs: 1 disc(s) Studio / Label: EMI Music UK UK Release Date: 06 Nov 2006. KATE BUSH. HOUNDS OF LOVE. CD. DIGI REMASTER + BONUS TRACKS. EMI. 1997. EX. KATE BUSH - HOUNDS OF LOVE. Kylie Minogue. THE BEST OF. 13 Sheryl Crow - If It Makes You Happy. Now That's What I Call Music! 35 Double CD Album (1996) - Good Condition. CD jewel case teeth cracked. Discs themselves are in very good condition. 12 Ocean Colour Scene - The Riverboat Song.